Are you looking for ways to preserve peaches? Peaches are a delicious stone fruit. When the trees bear their fruit, they tend to come in full bounty. You might even find yourself with so many peaches, you don’t know what to do with them. You need to pick them when they’re ripe, and if they fall to the ground, you need to pick them up so they don’t rot on the ground. But what do you do with them then? We went peach picking to a local farm the other day and ended up with lots of peaches. While we saved some for eating fresh, we wanted to preserve these delicious treats for later in the year too. We LOVE locally grown food, and do our best to get everything we need locally. If you find yourself surrounded by fresh product this fall, learn how to preserve everything for winter. Since I had an abundance of peaches this week, I looked up and found several different methods of preserving them. You might like some better than other. While you can freeze them, you might get bored of having just frozen peaches. So why not also make a jam, or a chutney, or some peach salsa? I’m going to tell you about some great ways to preserve peaches and you can decide which ones are best for you. Before you can, dry, or freeze your peaches, you will need to blanch them and remove the skins. 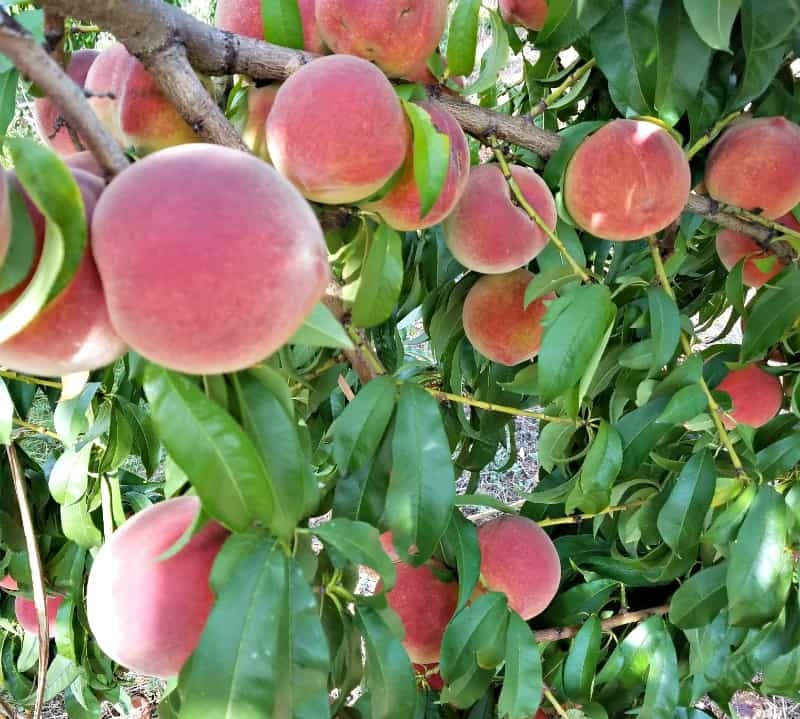 You always want to use peaches that are ripe but still firm, in order to get the best results. Softer peaches will work great for jam, and also for drying/dehydration. Before removing the skins, you need to have all of your preservation materials ready. Once the skins are off, you want to work quickly to get them preserved or they can go bad while you’re prepping. I know: peaches are sensitive! Skins of the peaches can be gross when they are preserved with the rest of the peach. They get chewy when you dry them, they get slimy and gross when canned and other methods aren’t always kind to the peach skins either. You can peel the skins, but it takes a lot of time and effort. So instead, you might blanch them. Just prepare a boiling pot of water and a sink-full of iced water. Place about 6-8 peaches in your water, depending on how large the pot is, and keep them in the boiling water for only about a minute. Remove them quickly and place them in the chilled, ice water until they are cool enough to touch. Then, you can slide the skins right off the peaches. You have to work really fast with this technique so you don’t leave any peach in for too long. 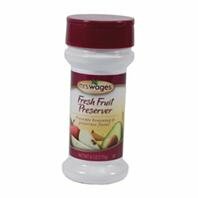 Mrs. Wages Fresh Fruit Preserver, 6-Ounce Shaker Bottle One of the best ways to store peaches for later is to freeze them. After you blanch them, you can remove the pits and cut the peaches into slices. 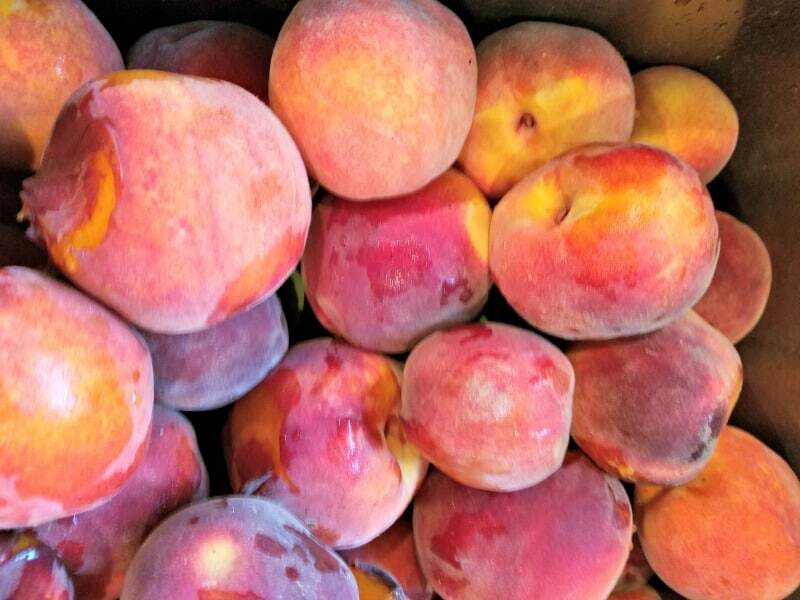 There are a few ways to freeze peaches: packed in water, sprinkled in sugar and packed with syrup. Choose your method, then pack your peaches into either pint or quart-sized freezer bags, making sure to leave about a half an inch of head-space. If you want to freeze them in water, it’s now time to pour water over the peaches and place them in the freezer. You can use freezer jars or bags. If using bags, lying them flat works best and allows more room in the freezer. 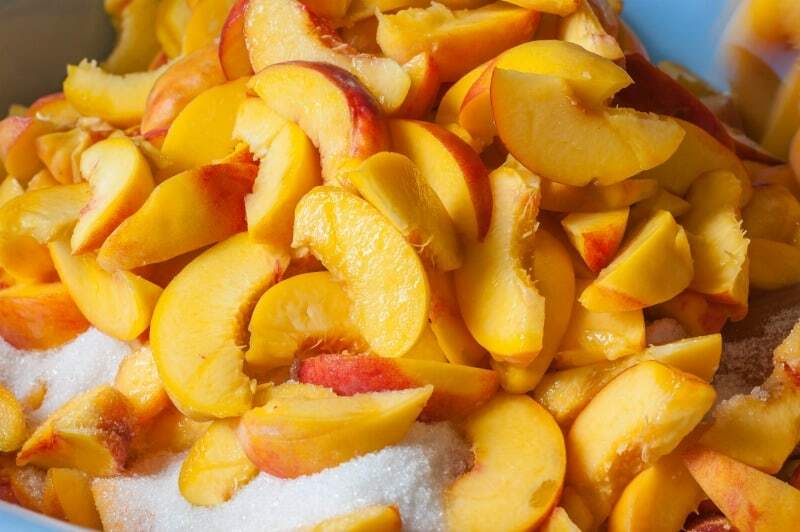 When using sugar, just sprinkle sugar on the peaches, let them start juicing and then pack them in your container. I like to preserve the color of the peaches, so I sprinkle some citric acid with the sugar. To freeze them packed in syrup, just cover them with syrup made from sugar and water. Jam is one of my favorite ways to preserve peaches. You can use it for so many things and it tastes amazing. 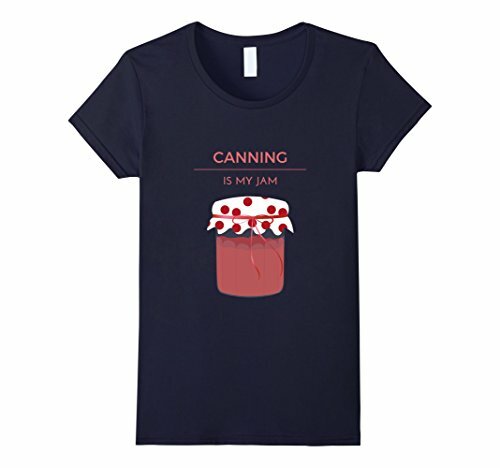 Womens Canning Is My Jam – Funny T-shirt For Gardeners & Homemakers Medium Navy It’s fairly easy to make up, too. All you need is some great peaches to start with. Begin by removing the skins. Then chop up the peaches and add them to your cooking pan. Cook over a medium-low heat for about 20 minutes. If you don’t like bits of peaches in your jam, cook until it’s completely “melted”. Add sugar (add a little at the time and taste, as your peaches might be sweet enough to not need much). Then bring your jam to a boil again, for a few more minutes. Transfer your jam over to your sterilized jars, and process them in the water bath canner for about 10 minutes. 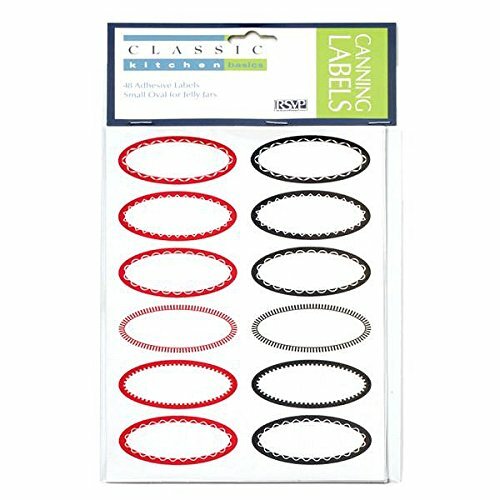 Remove from canner and cool. 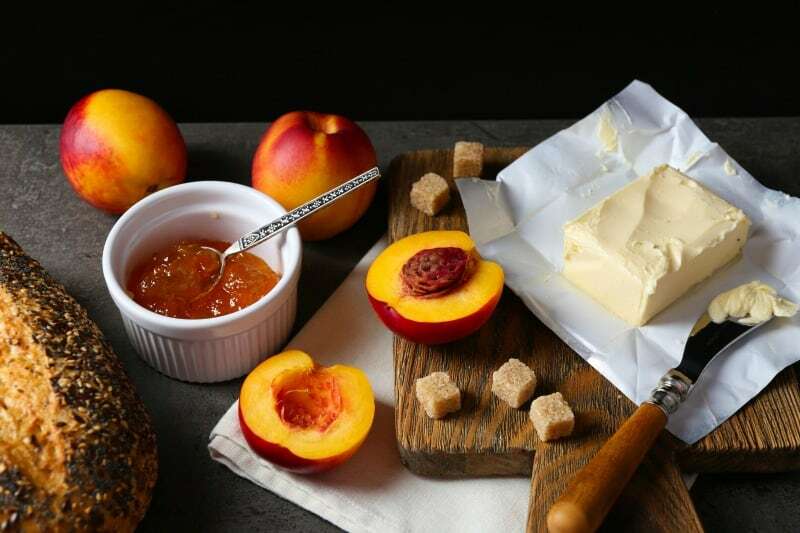 For old fashioned peach butter, all you need is two ingredients: peaches and sugar. Slice your peaches and cook them until they are soft (up to 10 minutes). Now you can put them into a food processor and mash them up. Don’t liquify them: just get all the lumps out. At this point you can add sugar and mix it all up really well. Put them back on the stove and cook on low heat for a couple hours, until they get your desired consistency. You’re now it’s ready to can them (same methods as the jam). Make sure you label them your peach butter and jam, as it may look very similar to other fruit jams and butters. 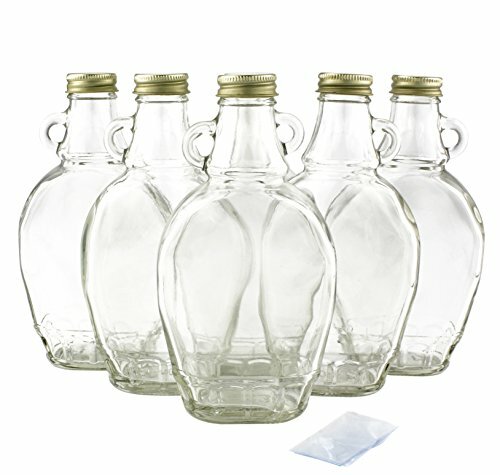 8oz Bulk Glass Empty Syrup Bottles For Canning, 6 Pack with Metal Lids, Glass Maple Syrup Bottles When you want to do something a little different with your peaches, consider making a simple syrup that you can use later. You can drip it over pancakes, or add it other fun recipes to mix it all up a bit. There are different ways to make peach syrup but the method I prefer also means it’s very sweet and you don’t need to use as much of it. Now you’ll bring the water and sugar to a boil on the stovetop. Add the peaches and stir it all up well. Now, if you want it to preserve for longer and keep the color more vibrant, add the citric acid. Once the sugar is completely dissolved, you can reduce the boil to a simmer. Cover and cook on simmer for about 25-30 minutes, then strain (be careful, the syrup will be really hot). Once strained, return to the stove for a few more minutes of boiling. Transfer syrup into sterilized glass bottles, cover them and process in the hot water canner for 10 minutes. Let them cool and you’re ready to enjoy sweet, delicious peach syrup! For some variety, you can try dried/dehydrated peaches. You’ll need a quality food dehydrator, but it;s well worth having one anyways. My dehydrator is 12 years old and still doing a great job. I’m actually secretly wishing it’ll die so I can get my dream dehydrator. you can dry your peaches and they make a wonderful snack any time, any place. Dry them out according to the directions of your dehydrator and then package them into portable ziplock baggies. 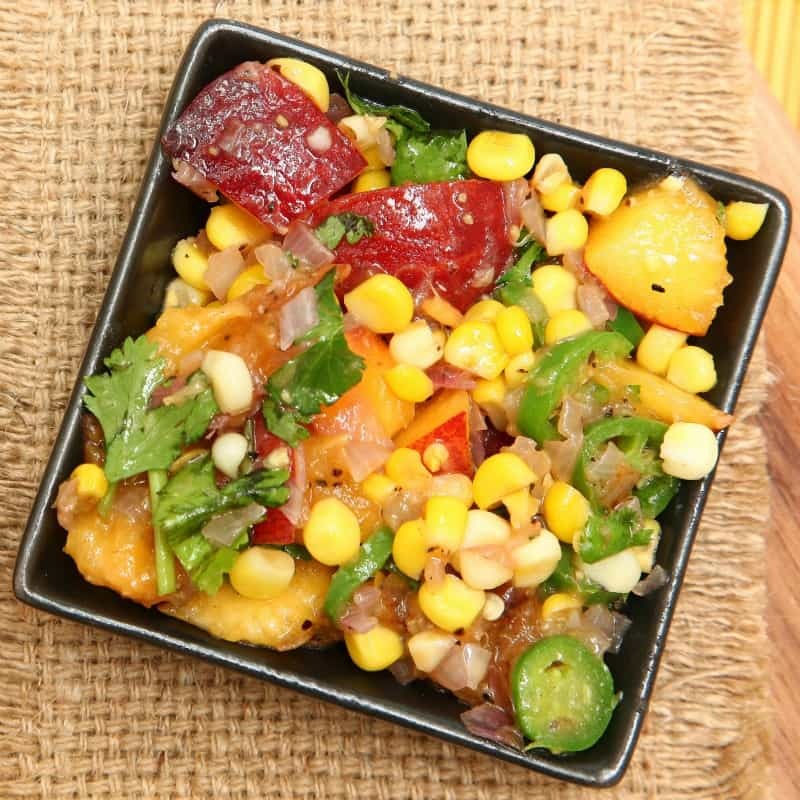 Mm, peach salsa makes a great addition to a salad or any meals. You can make this peach salsa and keep it handy for when a great meal calls for it. Sterilize your jars and have them ready for adding the salsa before you start making it. Then, blanch your peaches as we describe above. In a large stainless cooking pot, add the peaches to tomatoes, onion, Jalapeño peppers, cilantro, honey, vinegar, garlic, cumin, and cayenne pepper. Boil for about 30 minutes stirring it regularly to keep it form sticking to the bottom of your pot. Taste and adjust seasonings if needed. When it’s all done, put the salsa into your hot jars. Leave some headspace at the top. Remove your air bubbles using a rubber spatula between the salsa and the glass, then wipe away the jar so it’s clean before putting the lid on and giving it a hot bath in a canner. YUM! We talked earlier about how to blanch your peaches. Do this step before canning them. 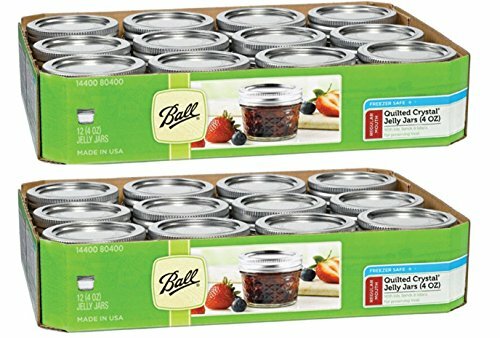 When canning, make sure all of your jars and your rings are clean and sterile. Have all of your supplies ready before you start, so they are ready to go right in after blanching. After blanching the peaches, slice them and fill your jars with them. Leave 1/2″ to 1″ head space, then pour your syrup over the fruit. I prefer light syrup made from 2.5 cups of sugar to 5.5 cups of water: just mix water and sugar over low fire until sugar completely dissolves. 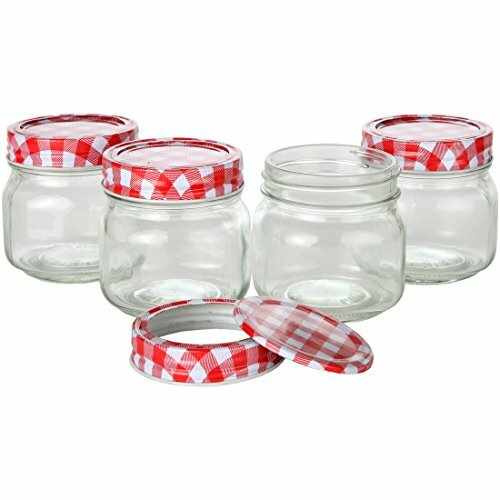 Seal your jars and process them in the canner for 25-30 minutes. Delicious! 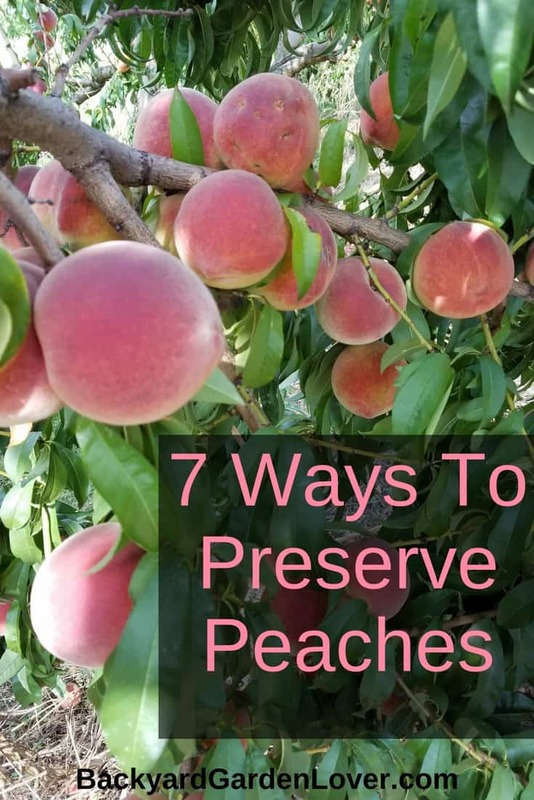 Now you have seven great ways to preserve peaches so there’s really no reason you can’t keep all those great peaches even after their season has passed. No more wasted peaches. You’ll be able to come back to these whenever you want and have peaches throughout the entire year. They would make great fruit rollups too.